When the Theme Manager was introduced in CyanogenMod 7, applying different themes to your phone was as easy as downloading an apk and a press of a button. 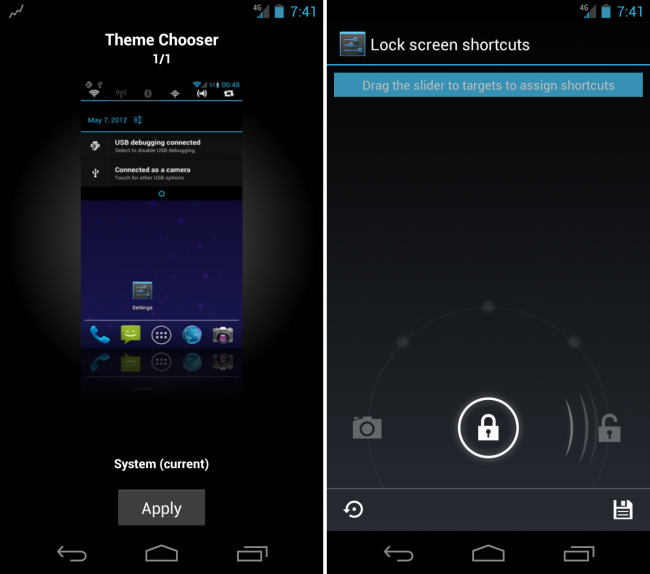 As of today, the newest CM9 nightly now supports this ever-popular feature and one other noteworthy addition. Along with the Theme Manager, users can now create custom shortcuts from inside the settings menu to open whichever application they need right from their lockscreen. Win. If you want to give the newest nightly a go, check to see if the newest 5/7/2012 nightly is available for your device on the via page.